Born in 1938, Michael lives in Nottinghamshire with his wife Kate. He studied art at the College of Art in Wolverhampton and became a professional artist, painting full time, in 1972. 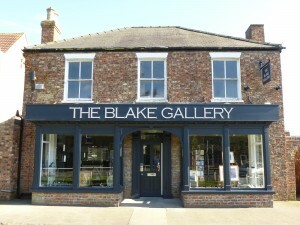 The Blake Gallery is located at 45, The Village, Haxby, York. We feature an eclectic range of pieces created by a variety of artists and sculptors; many of whom are local to Yorkshire. We specialise in original contemporary art including oils, pastels, watercolours, acrylics, bronze and ceramic sculpture and unique, hand-crafted jewellery. 10am – 5pm Wednesday to Saturday. THE BLAKE GALLERY, 45 The Village, Haxby, York, Yorkshire.